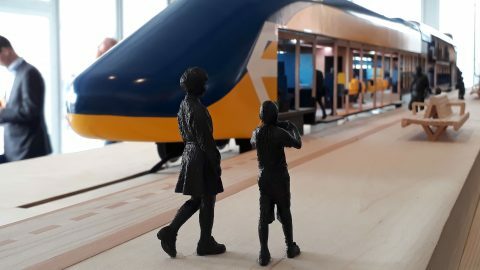 Dutch Railways (NS), architectural firm Mecanoo and project designer Gispen presented their vision on the train interior of the future on Thursday at the Innovation Expo in Rotterdam, Netherlands. 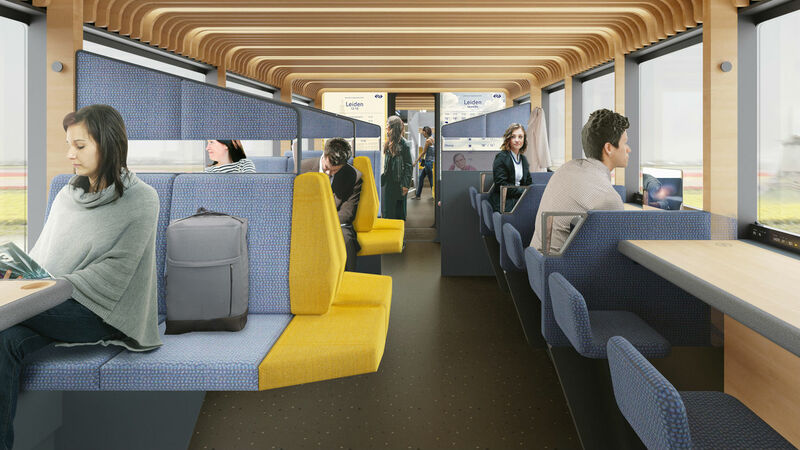 The new design has a higher capacity, but the interior is mainly designed in a different way: based on the activities of train passengers. To do this comfortably, so-called ‘stits’ have been placed in this part of the coach. ‘Stits’ represents a combination of standing and sitting. They are a kind of protruding cushions that are attached to the wall. 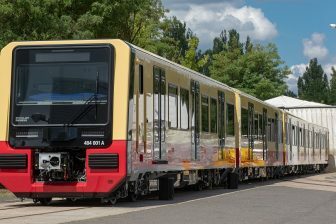 These can already be found in the Stadler’s Flirt in the Netherlands. The yellow ‘bricks’ are so-called ‘stits‘. Finally, there is the concentration zone. 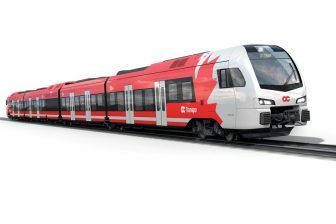 “It is meant for people who expecting to be on the train for a longer time, where travellers can work and have more privacy,” says Schiffer. In this area, people can sit individually, but if it is busy in the train, two people can be added to each bench. “If the first person moves up a little, a second person can be next to him, and then someone else can sit at the end, maybe not very comfortable, but it’s better than standing.” This allows six people to sit in the same room where two people can sit now. These zones each have their own specific place on the train. If people are on the train for a short time, it is logical that they do not have to go far in train to travel comfortably. Commuters who have been on the train for an hour or more, can go further into the train to enter the spaces where people can work quietly or watch a series. The trains are full of novelties. 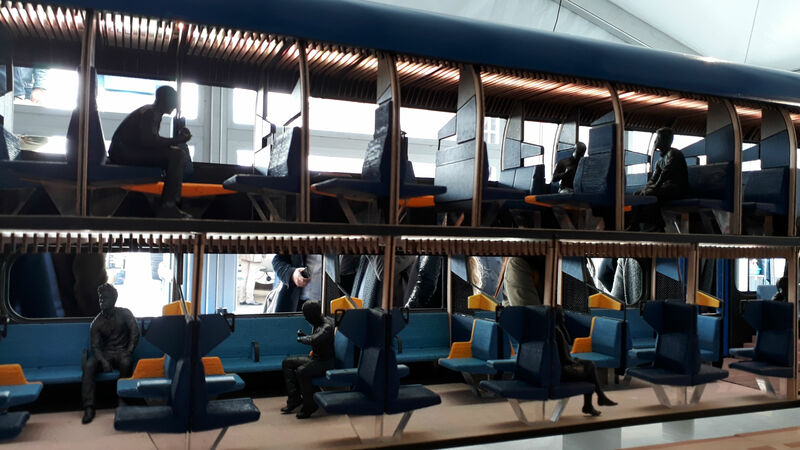 “During the survey, we received a complaint from someone who felt that a different traveller was typing too hard in the silence coach,” says project manager Joost van der Made of NS. “Then we thought: what is ‘quiet’, really? That word has a different meaning for every traveller, what can we do to facilitate that?” Now, there are four ‘phonebooths’ in each train set, in which people can make a phone call without bothering fellow travellers. 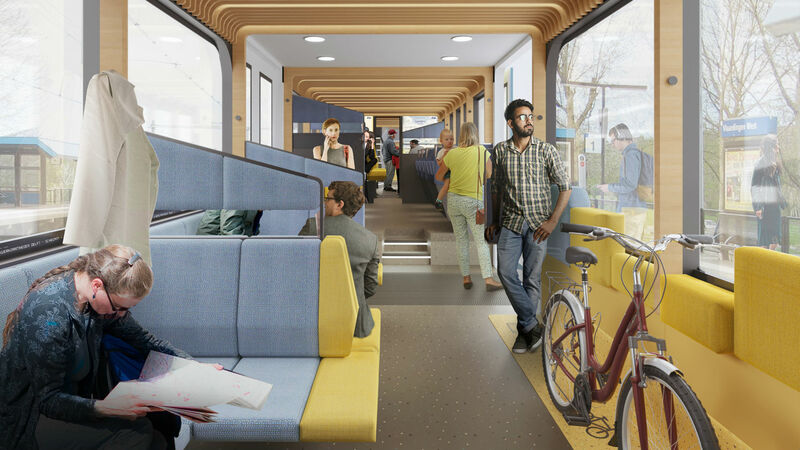 This is also the new design, precisely because there is sufficient space to work quietly, which is interesting for employers, according to Van der Made. “The train is a more environmental-friendly means of travel than the car.” Employers might be more likely to choose to give their employees a card to travel by public transportation, rather than a car. The concept is ready to be implemented, but must first be tested extensively. 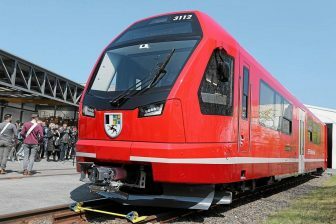 NS can therefore not say when the new interiors will be fitted on the trains.